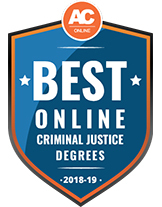 The criminal justice degree program is designed to provide a broad-based liberal arts education incorporating the Core Curriculum along with the core criminal justice courses. In addition to criminal justice courses, this program provides students with a basis in science, English, math, history, government and technology. 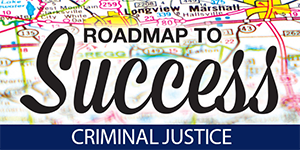 The Roadmap to Success program in criminal justice was created by Kilgore College and The University of Texas at Tyler Longview University Center to provide details necessary for you to earn an associate degree or bachelor of science degree in criminal justice in an efficient and affordable way close to home. What makes KC's Criminal Justice program unique? Students graduating with an Associate of Arts degree in criminal justice have two options: continue their education at a four-year university or enter the criminal justice workforce. Students transferring to a four-year university will find the transition to be very smooth. Those entering the workforce are prepared to enter the field with a broad knowledge of criminal justice. The criminal justice field usually has job openings year-round. Positions with federal, state and local agencies afford graduates myriad opportunities for employment. Specific employment requirements depend on the agency and position sought. Most federal law enforcement positions require a four-year degree. Positions at the state and local level will have different employment requirements. The Associate of Arts degree typically takes two years to complete. This is based on a course load of 16-18 semester credit hours over four long (fall/spring) semesters.